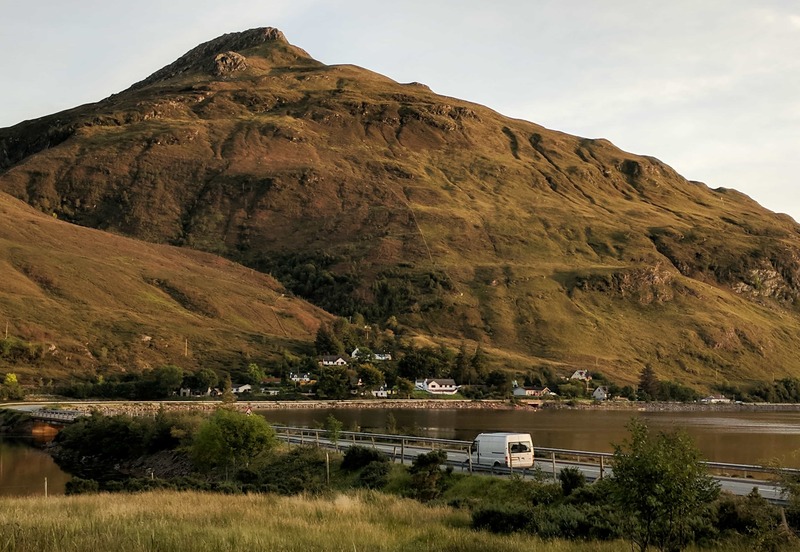 I was very tempted to call this article “How we go to the toilet” but I decided against it even though it is one of the questions we get asked the most when we give people a tour of the van. It does, however, raise a good question of how we wash, shower and go to the toilet in a van that doesn’t have a bathroom? 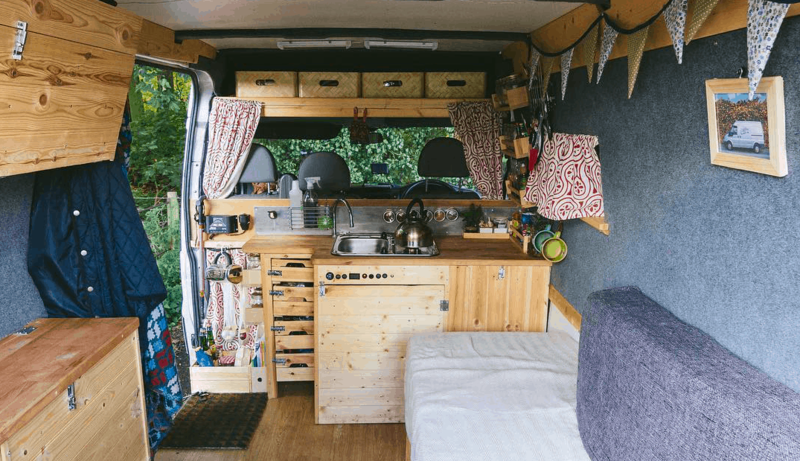 It’s all pretty simple really, and with a bit of planning, a little creativity and modicum of will power you can do all of the things you normally do in the luxury of your bathroom while you’re out on the road. This one is by far the easiest and the type of thing that differs the least from our time living in a house. After all we have a sink the same as you do so in theory we can wash and brush our teeth just as we did before. We do however, do it all slightly differently and the main reason for that is conserving water. You can brush your teeth easily with just a quarter of a cup of water rather than leaving the tap running the whole time. We use baby wipes to give ourselves a freshen up in between showers rather than washing in the sink. Both of these things save us a tonne of water which means we can be out in the wild just that bit longer. As Olivia mentioned in her feminine hygiene blog post she also uses a make up removal cloth which means she can wash her face with a fraction of the water plus it also saves on the wet wipes. We’re sure it’s the same for other people travelling in their vans but we don’t shower as much as you do at home. It just isn’t possible for us to have a shower every morning and quite frankly we don’t think people need to shower that much. We do shower though and to do so we use a combination of rest stops, camp sites and solar showers. More and more rest stops and service stations have showers which are free to use, yes we know people don’t seem to use them but that just means they’re always available for us! 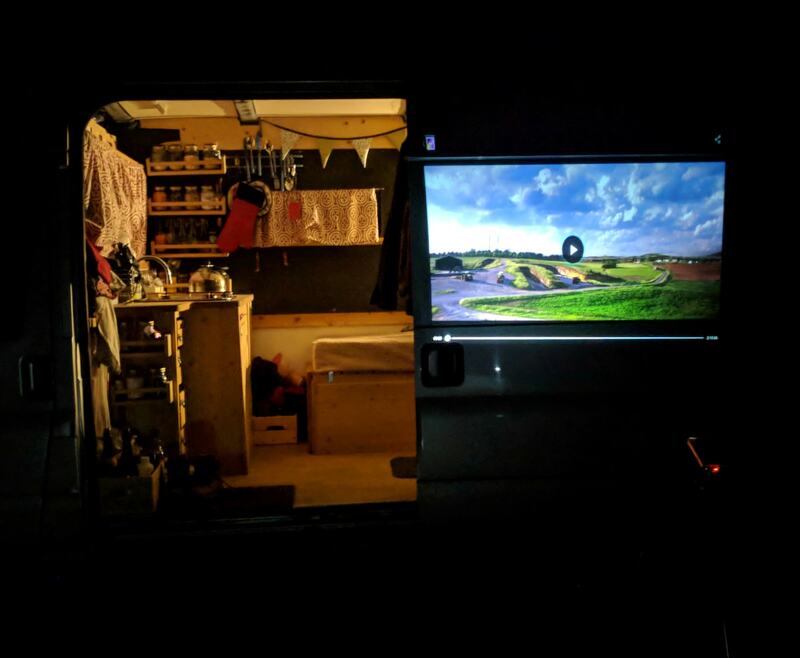 I know that van dwellers shy away from campsites and I know that we do also, however every now and then it is worth us paying to use the the facilities at one. For the cost of one night we can launder all of our clothes, do a deep clean on the van, cook using an oven, fill up on water and get a hot shower. We call this an admin day and we make the most of it. We do avoid doing it too regularly but its another way we manage to get a hot shower while on the road. When we feel like we need to freshen up we use a dry shower, it is essentially a scented alcohol gel which kills the bacteria that creates the smell as well as replacing it with a nicer smell. Lastly we use what is called a solar shower. It is basically a black bag that you fill with water, the sun heats it and then you shower outside. When we know we want a shower and have access to a water source we fill the solar shower and leave it on the dashboard of the van. It can get really nice and hot! Then in a secluded area we can just hang it up and have a glorious shower in nature. When we’re finished it packs away really small and waits for the next time we start to get smelly. We would be remiss if we didn’t discuss going to the toilet in a van that doesn’t have one. 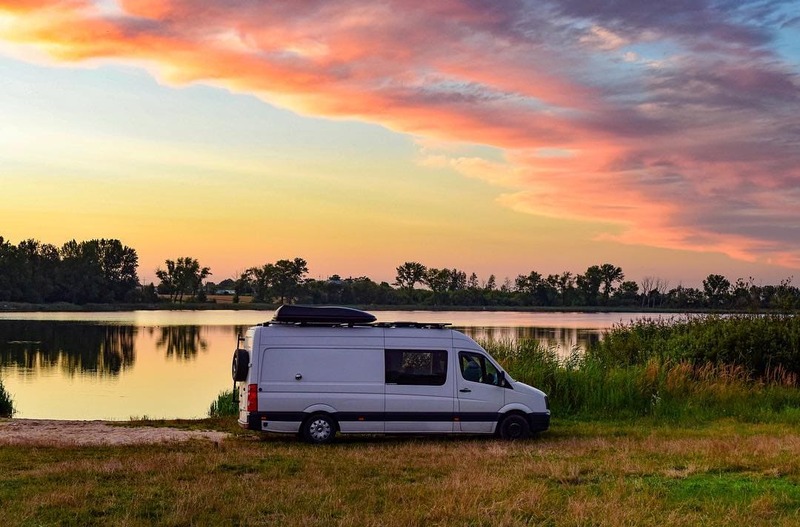 It is a bit of a well kept secret and you won’t see your favourite Instagram accounts posting wonderfully filtered pictures of it, but most van dwellers we know have a wide rimmed bottle hidden somewhere in their van. That, is your urinal. It isn’t glamourous but sometimes you can’t go for a wee outside (if you’re in a city, parked out in the open or simply it’s too damn cold outside) so you have to go in a bottle. Olivia uses a she-wee to join in the fun and we both have a bottle stowed away just in case of emergencies. Other than that it really is quite simply, we go to the toilet in public toilets, bars, cafes, petrol stations, frankly anywhere that has one available. We make sure we have an idea of where to go in the morning when we wake up and never pass up a chance to go. Most of the time we park out in nature and so have a trusty spade ready to dig a hole and sneak a toilet break out in the wild. I hope that answers some of the questions we get about how we function in a van without a bathroom, it also might explain why we don’t always greet you with a hug, we might just be in a long gap between showers so don’t be offended.